I was missing my MOJO last week, so I made sure I had time for it today! 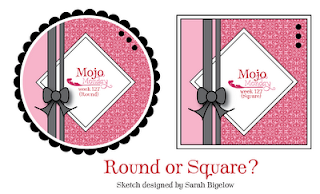 Mojo Monday designers put out a sketch each Monday and invite you to play along. Won't you? I took the fast/easy way out and used the square sketch. I plan on trying the round one later on this week. I know two young people who have moved out on their own lately, so that is what I made the card for. This one is for the guy, the round one will be for the girl. 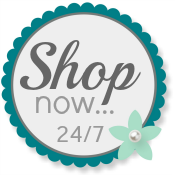 As always, please use my Website to order your Stampin' Up! supplies. Love this card, Patti. It actually made me smile wen i saw it. Nice clean lines and bright colors. Perfect of r a February day! LOVE it! Perfect for the young couple! I love the ribbon treatment! This is an adorable use of the Welcome Neighbor DSP and Good Neighbors stamp set. Wonderful, Patti! I love the colors, and your ribbon treatment!The brads are a perfect touch! Perfect new home card - great way to use this paper - love your mojo! You've got your Mojo on! Great card! Love what you did with the challenge. What a cute card! Love the Good Neighbours stamp and DSP!